Over the past year in southeastern Tennessee many business-expanding, job-offering opportunities have been announced. This year alone, both Wacker and Volkswagen are continuing to move forward on industry expansions. Wacker, a German chemical company, made their intentions known to build a new state-of-the-art factory, the first of it's kind in the states, to produce poly silicon. 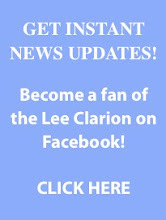 The entire story can be read on LeeClarion.com. Volkswagen announced the building of a multi-million dollar plant in Chattanooga that would supply the area with thousands of jobs, both on-site and through other companies that would be providing services to the plant, late last year. They have since scaled down the initial plans of the plant due to the American economy, saying that they will eventually add on making the plant as big as originally announced. The Chattanooga Times Free Press and the Associated Press are now reporting another industry expanding an already existing business in the Chattanooga area, also expected to add jobs to the market. The AP story after the jump. CHATTANOOGA, Tenn. (AP) — Chattanooga's Dixie Industries plans to add 120 jobs in a $5.5 million expansion. Chattanooga Area Chamber of Commerce chief executive Tom Edd Wilson told the Chattanooga Times Free Press that the company's existing 120 jobs were at risk before the decision to expand in Chattanooga. Dixie Industries makes forged hooks, tiedowns and other metal products and is part of Amherts. N.Y.-based Columbus McKinnon Corp.